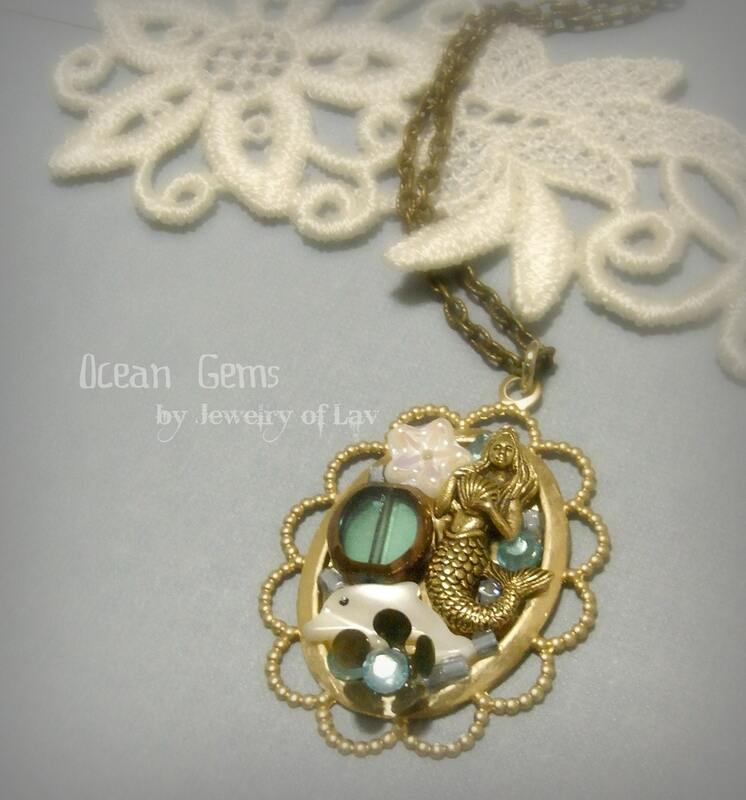 Jewelry of Lav is synonymous with Lovely, Angelic, Vintage handmade jewelry for those who appreciate the finer things in life. Inspired by her young children, Lavender’s works often reflects childhood innocence and fairytale like sweetness. Beyond this, her inspirations also come from God’s lovely creations – the beautiful and amazing nature and things she sees in cosmopolitan Singapore. Hence, it’s not surprising to see her unique handmade jewelry mirroring classy and timeless designs with a touch of vintage charm. 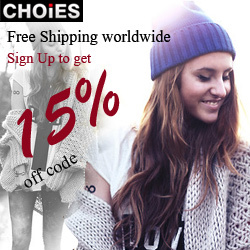 PS: She regularly has jewelry voucher giveaways for her jewelry facebook fans. And you can also check her website. WIN IT: Three (3) winners will receive a gift card in $12.00 value. Eiffel Tower Dance necklace made with gold Eiffel Tower charm, antiqued brass ballerina, white rose, swarovski crystal etc. I like the Ribboned Earring made with gold ribbon charms, swarovski pearls, swarovski crystals, gold filled ear hooks etc. 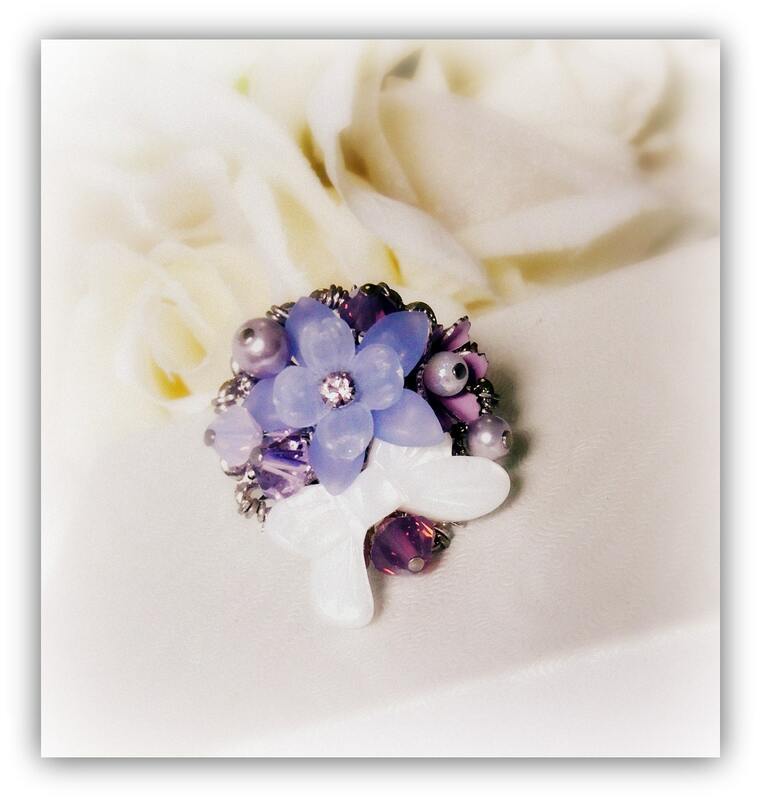 Purple Bouquet Ring made with vintage flowers, swarovski crystals, pearly ribbon, rhodium ring base etc is really very beautiful! Black Cat necklace made with shell cat, glass flower, vintage flower, swarovski crystals etc. I like Cream Rose Necklace. Love the Flutter By necklace made with butterfly charm, Japan rose, gold leaf etc. 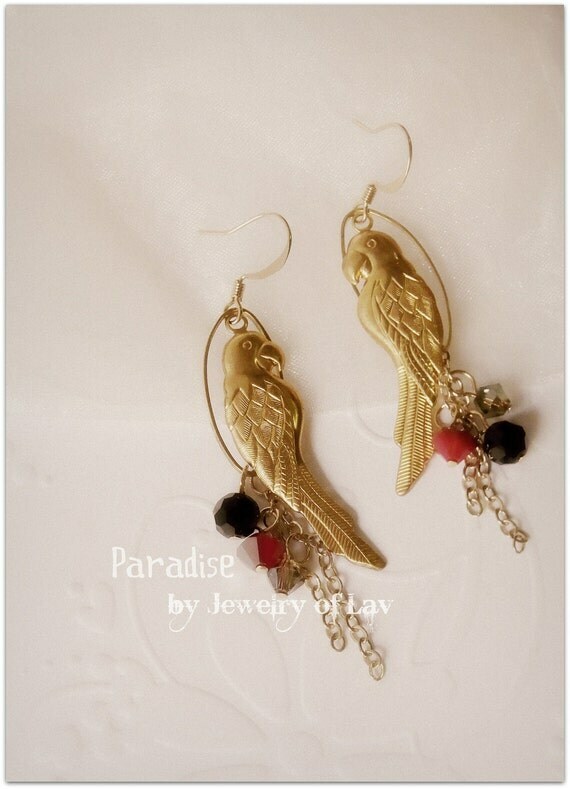 My favorite item is the Paradise Earring made with parrot charms, swarovski crystals, gold-plated ear hooks etc. listed above. 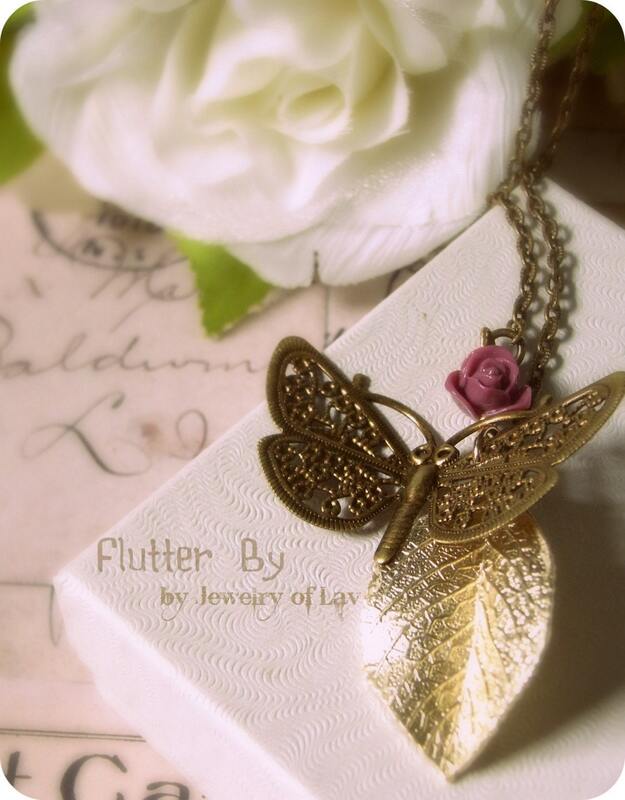 I really like the Flutter By necklace made with butterfly charm, Japan rose, gold leaf etc. I like the Lady in Red earrings! I LOVE the Kiss of a Rose necklace made with a rose mirror, crystals, 'Kiss' charm. Pretty! I love the Bambi necklace!